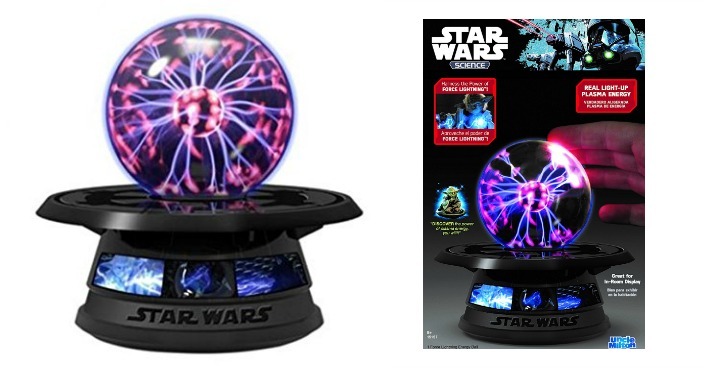 Star Wars Force Lightning Energy Ball Just $18.72! Down From $25! You are here: Home / Great Deals / Star Wars Force Lightning Energy Ball Just $18.72! Down From $25! Amazon has this Star Wars Force Lightning Energy Ball on sale for $18.72 (Reg. $25)! With the Force Lightning Energy Ball, harness the power of Force lightning, just like Yoda and the Emperor! Touch the energy ball and watch as pulses of plasma energy stream directly towards you! The Force Lightning Energy Ball includes educational material about plasma energy and is battery operated.